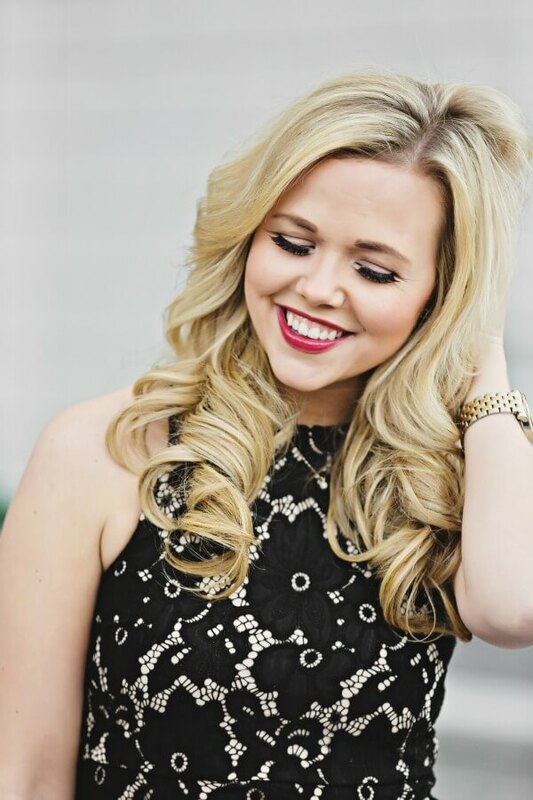 Today I am bringing you a tutorial video with Hair2wear Extensions by Christie Brinkley! This is a simple tutorial to show you how easy it is to attach the extensions and be ready to go within minutes. Hope you all have a safe and memorable New Years Eve tonight and ring in 2016 with the ones you love! Brought to you in collaboration with Hair2wear! Preeti from Nines to 5! 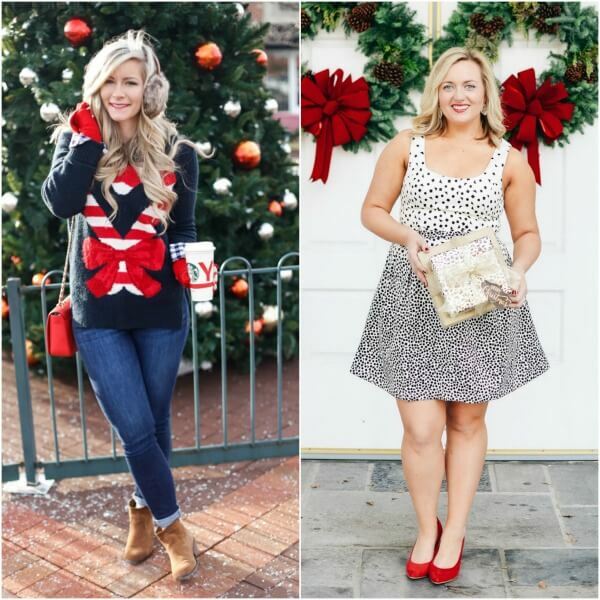 Here are our featured bloggers from last weeks HOLIDAY WEAR trend spin linkup! 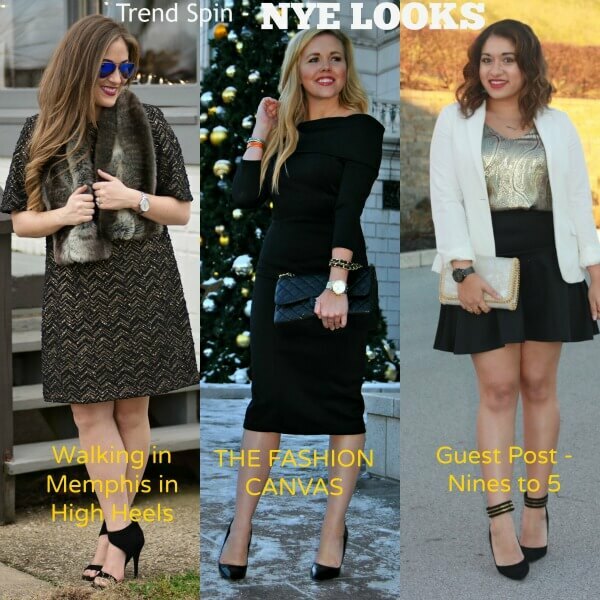 Today’s trend is NYE LOOKS! I can’t wait for New Years! It can be a night where you dress your best and hit the town, make dinner and snuggle with those you love, or watch some spectacular fireworks! What are you big plans to ring in 2016? Although we haven’t officially made plans, I am hoping to attend a fun party! And because I ALWAYS LOVE dressing up, I decided of getting a new dress. The best place I think to find festive dresses that won’t break the bank is ASOS! 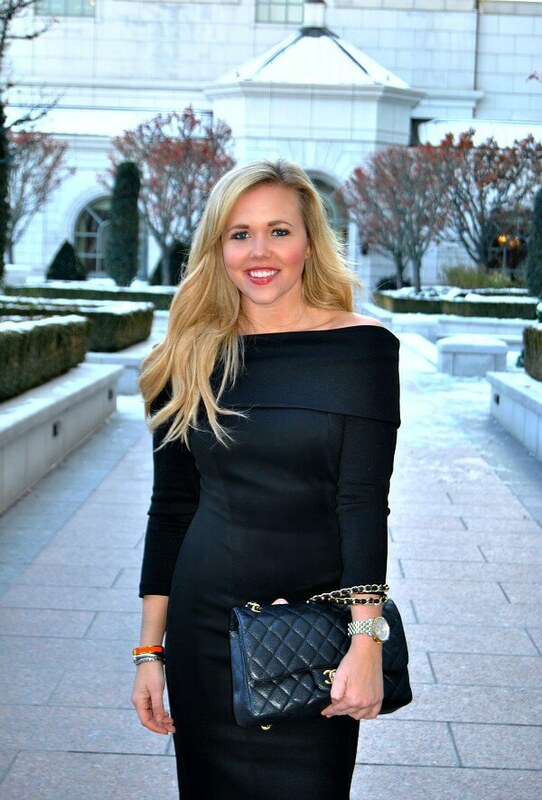 Check out some of their best HOLIDAY PARTY WEAR DRESSES HERE! They range from really fancy, to a little more subtle, so the possibilities are endless! Next week’s trend is Vests & Jackets! With the dropping temps in January, it is all about lots and lots of layers, and some of the best pieces to layer with are Vests & Jackets! I have always been drawn to these two clothing types. I think that an extra jacket or vest can create the bulk or texture anyone needs. I think I am going to be showing off my favorite vest from Forever21, what about you? Bloggers : All bloggers will be able to submit their post links via the inlinkz widget below every Tuesday at 8:00am CST with their take on our trend of the week. This will allow bloggers to show off their personal style, find new followers and meet some great fashionistas! You will also have the chance to be featured on our blogs the following Tuesday (if you make sure to link back to Laura and my blog) ! So grab the button and link up. 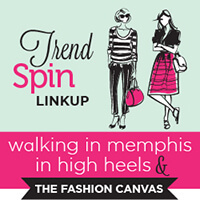 = ) For all bloggers we simply ask that you please follow your 3 hosts – Walking in Memphis in High Heels, The Fashion Canvas, and Nines to 5 (the first 3 links in the linkup) and provide a link to the Trend Spin Link-up in your post or add the button below to your blog. Don’t forget to stop by everyones blogs to see how they wore the trend today. Leave a comment on my blog, and also on at least 5 other blogs! Jenna from Visions of Vogue! 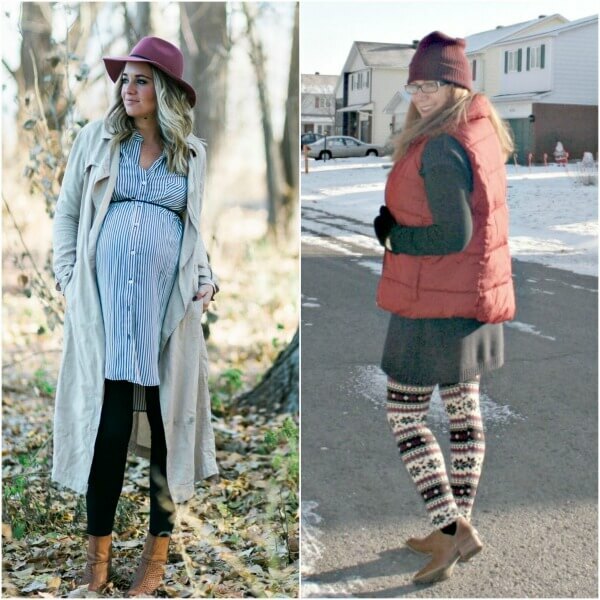 Here are our featured bloggers from last weeks LEGGINGS trend spin linkup! Today’s trend is HOLIDAY WEAR! The Holidays are just around the corner, who else is excited?! No matter what you celebrate, it is a merry time of year and the clothes help celebrate that feeling. 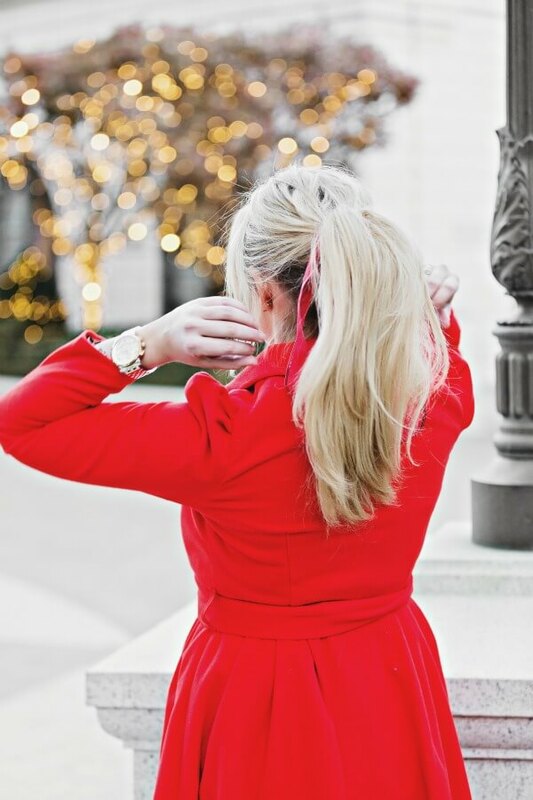 While I love to dress in anything red, sparkly or fancy, what is your holiday wear look? Next week’s trend is NYE Looks! Not only do we get to celebrate the holidays around this time of year, but New Years Eve is right around the corner. And who doesn’t love some fancy and sparkly dresses? THIS LOOK or THIS LOOK? Which one do you think I should wear? Bloggers : All bloggers will be able to submit their post links via the inlinkz widget below every Tuesday at 8:00am CST with their take on our trend of the week. This will allow bloggers to show off their personal style, find new followers and meet some great fashionistas! You will also have the chance to be featured on our blogs the following Tuesday (if you make sure to link back to Laura and my blog) ! So grab the button and link up. = ) For all bloggers we simply ask that you please follow your 3 hosts – Walking in Memphis in High Heels, The Fashion Canvas, and Visions of Vogue (the first 3 links in the linkup) and provide a link to the Trend Spin Link-up in your post or add the button below to your blog. Don’t forget to stop by everyones blogs to see how they wore the trend today. Leave a comment on my blog, and also on at least 5 other blogs! 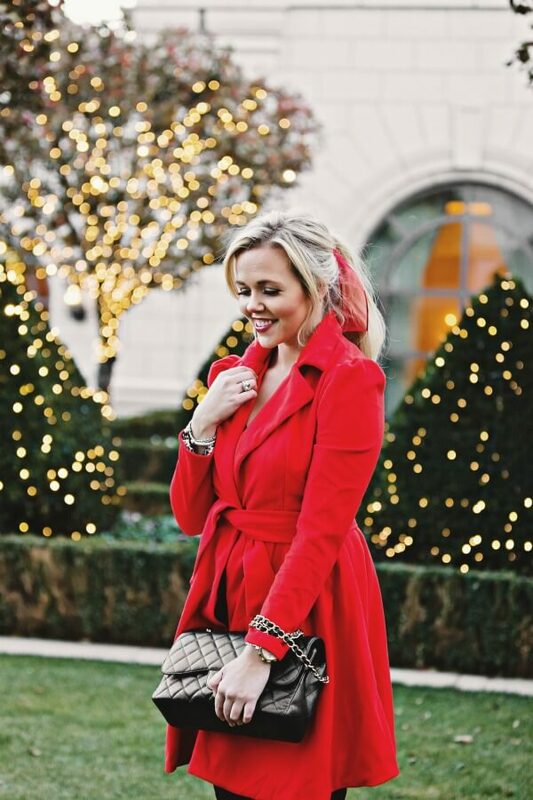 During this holiday season, I know you are all wanting to look absolutely fabulous, especially since it is a time where you are seeing lots of friends and family! One way to take your look to the next level is by incorporating some festive and easy hair pieces for some chic #holidayhair! While extensions can be intimidating for a lot of people, I have found a solution that is easy for anyone to manage. The Christie Brinkley Hair2wear extensions are an amazing fast clip-in process and are always ready to go to elevate your current look. Below I have highlighted my two favorite products, the 16″ extension piece and the clip-in pony. Since these pieces are already pre-curled, they take two minutes to clip in and go. Because my hair is a little thinner, and because of the varying colors, I actually pulled a “Christie” by layering two different colors on top of each other. (Christie actually does this quite often for added volume and dimension). 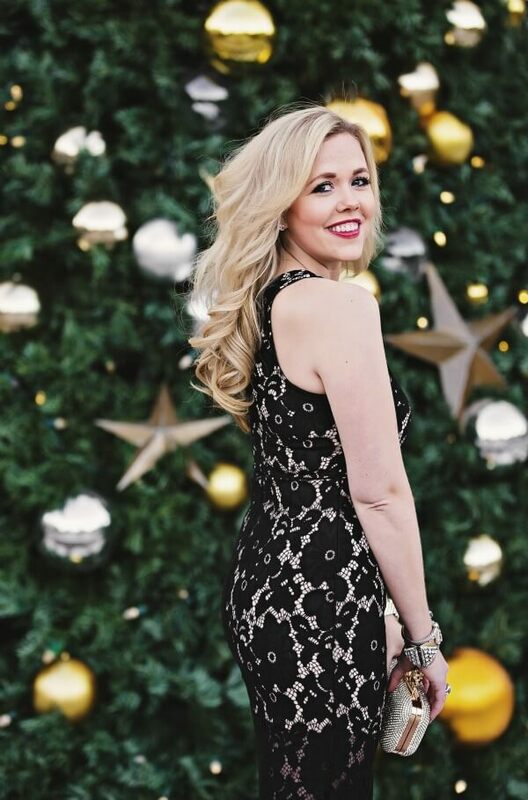 Although I kept my curls simple to really highlight the style, other fun holiday inspired looks would be to add a some accent pieces like headbands, sparkly bobby pins or a fancy hair barrette. I am wearing the Light Blonde and Medium Golden Blonde extensions together! This pony extension has been my go-to piece for the last few weeks. Whenever I am in a rush in the morning or have to attend a last minute event, I throw my hair into a simple high ponytail and clip the “perfect pony” over the top for maximum volume and style. For the holidays, I thought it would be fun to dress up the simple pony by creating some loose tendrils in front and adding a festive ribbon in the back. I am wearing the light blonde pony piece! I hope you all have a chance to check out this brand and remember that they are recently being carried in your local Sally Beauty stores, which makes it easy to stop by, compare hair colors and leave with your perfect match just in time for any upcoming holiday event! 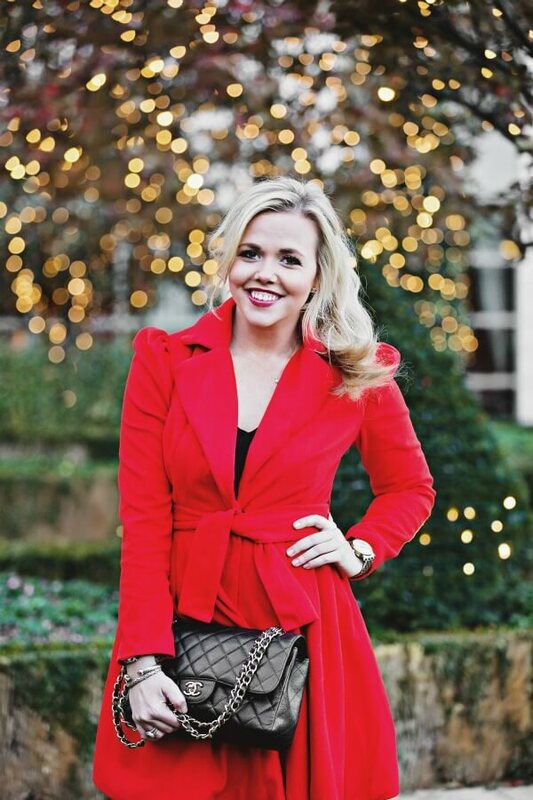 Also, make sure to tune in next week to get outfit details on both of my holiday inspired looks you saw here today.